Back in January it was announced that Cowell was planning to launch a new talent competition to ‘find the world’s best DJs’. The entertainment mogul issued a statement saying “DJs are the new rock stars, it feels like the right time to make this show” – the DJ / Rock Star analogy actually goes back to the ’90s, causing many to accuse Cowell of being seriously out of touch. 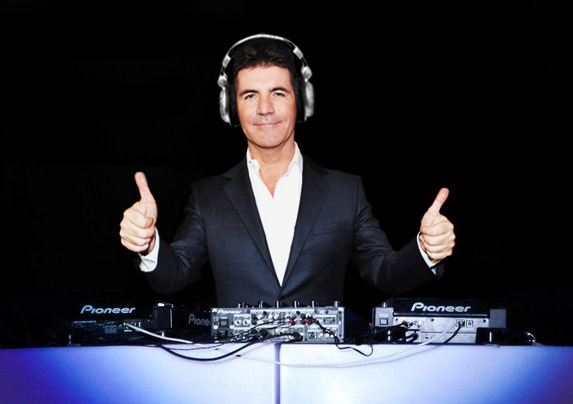 Greg Wilson has said that he does not mind if Simon Cowell makes a reality TV show about DJing. The spinner, who made his name in the early 1980s at Wigan Pier and Manchester’s Legend, told Digital Spy that he was not concerned about Cowell’s plans for a DJ programme. Thing is, I thought the whole DJ X Factor thing was just a wind up by the Faith Fanzine fellas. Couldn’t agree with you more Gregg. For me it’s always been about the music and nothing else. I reluctantly fell into Dj’ing 22 years ago as I always had the best record collection (I still consider myself a collector more than a DJ) and whilst I love doing it, fame and fortune is the last thing I want from it (just as well really as I have gained neither!). What I have gained is stronger passion for music and a lot of enjoyment. I really can’t see what Cowell is trying to achieve with this? Is it being judged on music selection? Technical ability or showmanship? If it’s the latter surely the DMC championships cornered that niche years ago? I’m with your Greg and Tristan. It is all about the music. The best feeling for me is taking a crowd with you into ‘unsafe territory’ then dropping that bomb- if you’re the kind that’s willing to take a risk. (Though it doesn’t happen to often for me these days). Anyone can bung on top 40 records these days and say they ‘DJ’. More nonsense from the musically soulless Cowell except it might bring some renewed exposure and focus on the dj- especially those on the periphery – after 10 years since Fatboy messed it up for the rest and everyone went back to just live music! 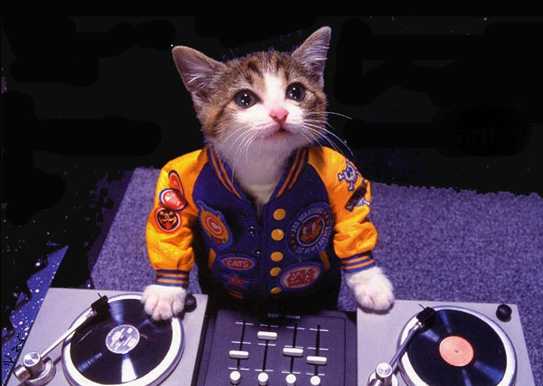 As you’ve said, there needs to be some focus on a particular dj skill otherwise; how’s it going to work? Exactly, It’s all about THE MUSIC!!! I do it for the love of JAMS, that’s it….I have a faithful following and I am not getting rich either. But I love being IN the scene…Love the music….since 1974!! Nothing new in this: since DJing was first invented there have been the crowd pleasing money makers (from Jimmy Saville in the 1950s, through Noel Edmonds, up to David Guetta nowadays) alongside the club DJs who work on a smaller scale(from Francis Grasso in the 70s through Larry Levan, Mr Wilson et al). You pays your money you takes your choice. Hey Greg, it’s been a while mate. You know it’s got to the stage where I find it disappointing that DJ’s that have been around for 4 or 5 years and like to dictate about music past present and future have conversations with me about songs that have certain content from a track that was remixed 10 years ago and when I try to explain I used to play the original track on vinyl from the 70’s where the content was originally sampled from, a debate usually breaks out. So fr me I feel that if I had the privelidge of being there back then, I can rest assured that the memories of what was achieved in the pioneering years remains in those that experienced it and as for what happens now in the arena of “DJing”? Let the good times roll. I love to make and DJ music Past Present and Future and always will. Im 45 this November Greg and am probably more excited about my music…..or are the possibilities just getting bigger to stretch the limits of our sound? PS Music is the vocals, the instruments, the electronics, the beat, the soul, the lyric, the bass, the drums, the skit, the hop, the groove, the decks, the spirit, the vibe, the acoustics, the sound, the art, the dance-floor, the godfather of funk (JB) and the people! All intertwined as one!!! Hallelujah, Amen.